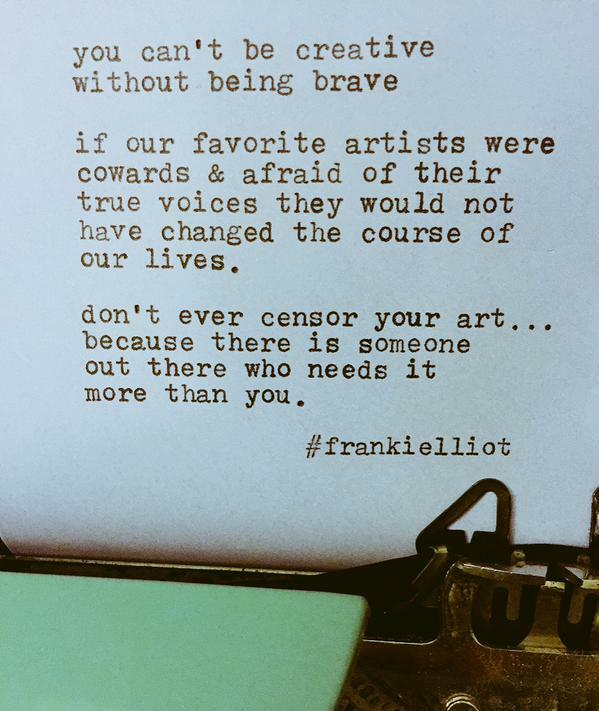 Beyond thrilled to have gotten this poem by talented typewriter poet Franki Elliot for Twitter Fest! Please please check out this talented poet at http://frankielliottypewriter.tumblr.com/. Exactly the message I need for the week I’m preparing to launch this podcast. Away for the weekend, but working right now on edits and recording. Hoping the new podcast is up and running by Monday!